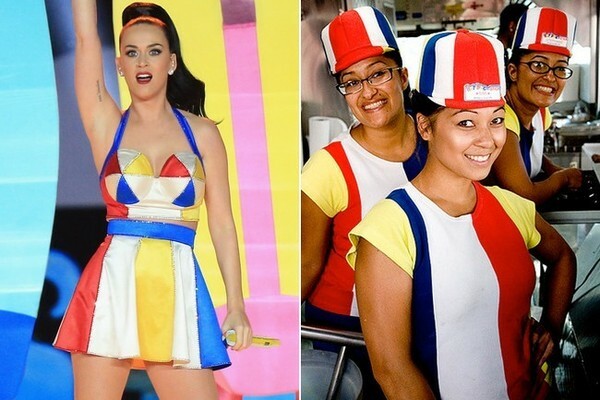 She may have looked like a former Hot Dog on a Stick employee with her jazzy costume when she performed at the 2015 Super Bowl halftime show, but Katy Perry is doing something right. She has more than 66 million Twitter followers. That’s roughly the populations of the entire states of New York, Texas, and Florida combined! How did she do it? You may not be able to gain the same volume of followers without star power, but here are 10 tips to help you drastically increase your Twitter following. Katy Perry has the most Twitter followers of anyone in the world. For starters, if you want to gain Twitter followers, you need to post content that is fun and engaging. If you’re a business, not everything you post needs to be related to your brand or industry. Try commenting on trending topics or relevant news pieces. Throw in some spice and personality by posting amusing videos or images you come across—images are powerful and leave a lasting impression. Remember, the goal is to post insightful content that people will want to share with their friends and family. Takeaway: pick topics that your brand and your followers will find interesting. Give them a reason to re-tweet. This will help grow your following. Many people will read your bio before deciding to follow you and a clever and well-written bio can help sway their decision. Are you a leader in your industry? Mention it in your bio. Adding words like expert, founder, and author can go a long way in establishing your business or brand as an authority. 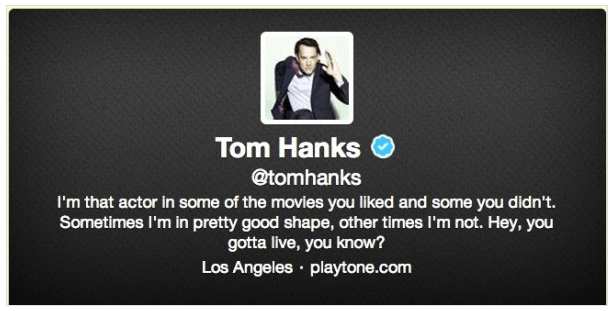 A witty sentence or two is also a fun way to make your bio stand out. One pointer: be sure to add a clear image so people know who you are. If you manage a company and want to use your brand, this shouldn’t be a problem. Just be aware that random images or graphics give people the impression of a spam account, and faces are always more personable. Make your bio stand out in a clever way. The most successful Tweeters post regularly if not every day. It seems like an obvious 1 + 1 = 2 scenario, but many users abandon their Twitter efforts shortly after creating a profile, or they only send a halfhearted Tweet once a week. Don’t let this be you. A study by Beevolve shows that those who Tweet more gain more followers. According to their study, those who have posted 5,000 Tweets have an average of 500-1,000 followers and those who have posted 15,000 times have on average 100,000 to 1 million followers. Make it a habit to tweet every day. Twitter only allows for 140 character spaces per tweet, which is pretty short, but you still want to apply the miniskirt rule: keep the tweets short enough to keep your reader’s attention, but long enough to cover the important stuff. Using quotes is one easy way to keep your tweets short yet interesting. Quotes generally see a high engagement on Twitter because they’re brief and people love to read little nuggets of wisdom and will oftentimes share them. There are several free apps such as Everyday Quotes and Quote Wallpaper that have a variety of inspirational quotes perfect for sharing on Twitter. Just don’t rely on quotes too often. Switch it up from time to time just as you would your wardrobe. Studies show that for brands, weekends are the best time to tweet. Twitter engagement is 17% higher at this time. Tweet at the right time for maximum engagement with your followers. It’s a sure bet you’ll lose Twitter followers if you cram up their Twitterfeed several times a day with mundane updates. Posting 2 or 3 times a day is fine as long as the content is intriguing to your followers. The iconic hashtag symbol (#) is used to mark keywords or topics within a tweet. Using the hashtag before a keyword of phrase in a tweet makes it easier for your post to be found in a Twitter search. When users click on the hashtagged word in your message, it directs them to all other tweets that are marked with that keyword. Popular hashtagged words are usually trending topics. Be sure to utilize this tool. One tip: don’t #overuse #the #hashtags. This is fairly obnoxious and looks like thinly veiled spam to most people. As a general rule, you should never use more than 2 hashtags per tweet. Become familiar with the hashtag. One easy way to direct more people to your Twitter account is by adding “Follow Us on Twitter” links to your emails, blogs, Facebook, etc. This helps individuals who are already interested in your business or brand to easily find your Twitter account so that they can follow you. You can use a button to attract attention to your Twitter as well. Make it easy for people to find you on Twitter. It will be a struggle to build an empire of followers if you aren’t engaging with other users. You should always take the time to respond to your @mentions. This will help fellow tweebs to see that there’s actually a real person tweeting behind the scenes. Also, it’s crucial that you respond to your customer’s questions and complaints on Twitter. Treat your Twitter account like you would a customer call center. Don’t hand over the Twitter responsibility to a newbie intern—make the effort to really listen to what people are saying and then respond accordingly. They follow the brand for special promotions and offers. They want to stay current on news with the brand. If you have the ability, give your followers what they want. Who doesn’t love discounts, freebies, and bags of swag? Reward your followers with discounts and freebies from time to time. You may not gain a Twitter following to rival President Obama’s or Justin Bieber’s, but by utilizing these tips, you’ll be able to drastically improve your Twitter following. Looking for help managing your social media? Contact the experts at OrangeSoda.